Welcome to Zen's Photo Album. Zen came to me as a baby puppy and was trained, groomed and campaigned, by myself, to attain her Champion title. Zen gained her title in 8 weeks and I continued to campign her until about 15 months of age. 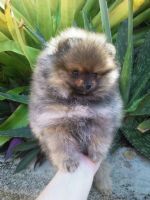 My written contract was to be given a puppy, or Zen, after she had her first litter. However, this has never eventuated. Zen has had two litters to-date. I cherish the many happy memories I have of her. 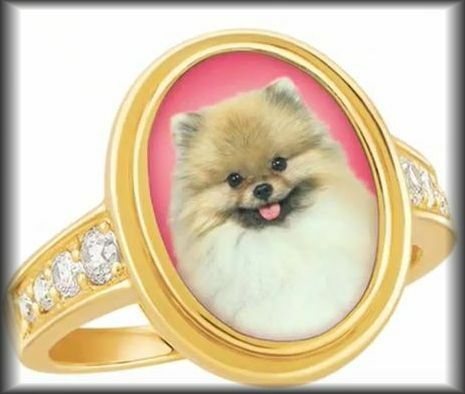 Click the pom ring icon to go to full profile on Dogz On Line. Zen arrived as a 10 weeks old baby puppy. 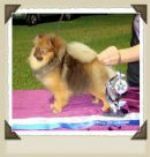 Taryn campaigns Zen at the NSW Pom Specialty show and wins...Best Baby Puppy in SHOW!! 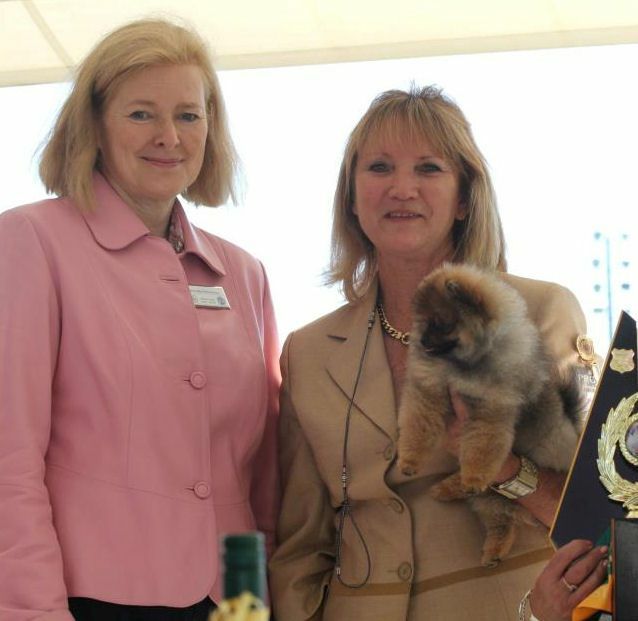 Taryn campaigns Zen at the Darwin Royal and wins...Best Baby Puppy in Show!